I honestly can’t remember if I ever did a post about Butter London “The Black Knight“. I could have sworn that I did, I was so positive that I wrote half this post and then tried to put a link in it for the original Black Knight post and couldn’t find it anywhere. So, maybe I didn’t write about this amazing polish. Butter London “The Black Knight” was my winter must have. 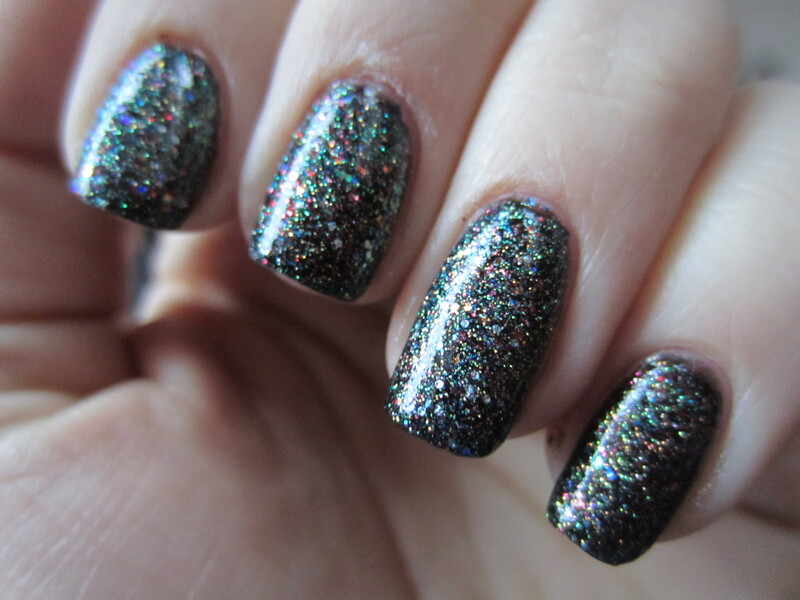 Its a black jelly with a ton of blue, pink and a little silver microglitter. And what I love the most, is that the glitter doesn’t get lost or fall into the polish like a lot of other polishes I have that are the same thing but different colored glitter (cough cough, Julep Chloe cough cough China Glaze Lubu Heels). When this first hit stores it was only available in a duo pack for $25. Now you can get it solo on amazon but the second polish that came with it was equally as pretty (click here to see Tart With a Heart). But the magic happens when you layer Tart with a Heart over Black Knight.